Each year I try to make a special ornament for our tree. 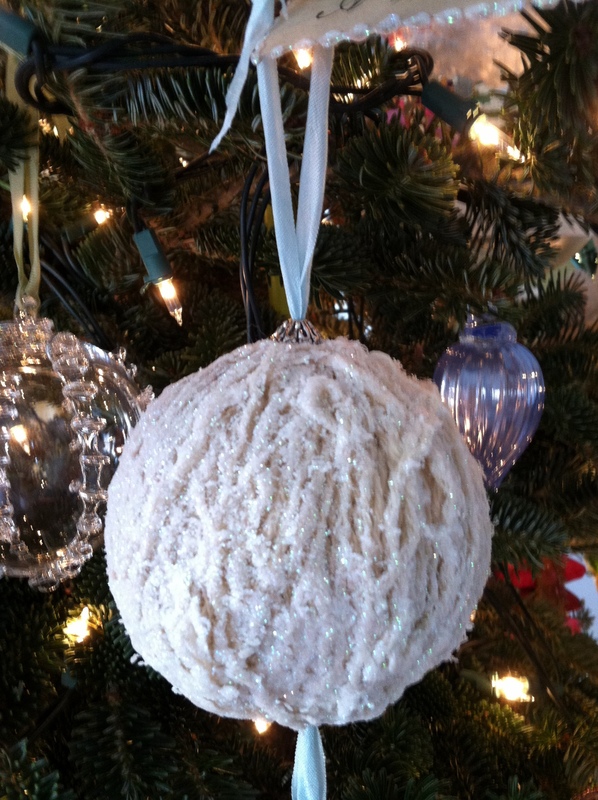 Joe’s mother had given us a yarn ball which was hand spun by his grandmother Sophie who we lost this year. 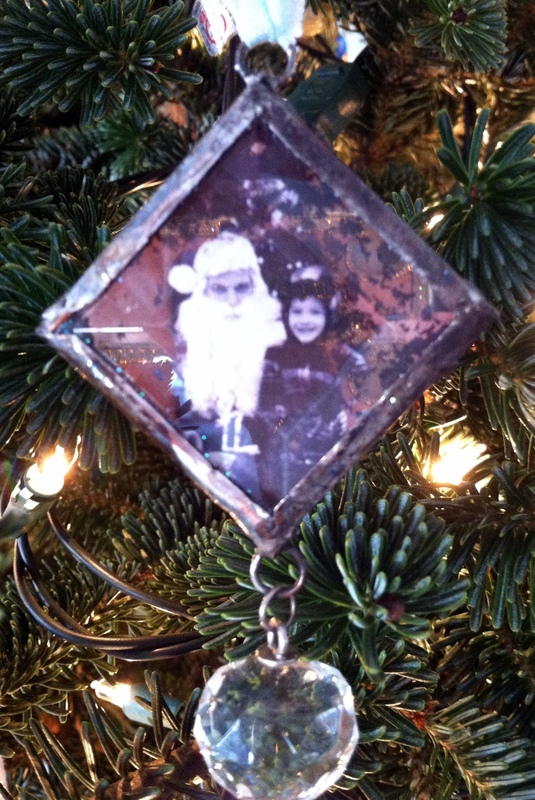 After rolling the yarn ball in glitter I soldered a charm with pictures from Joe’s childhood encased in beveled glass I had mirrored and antiqued. 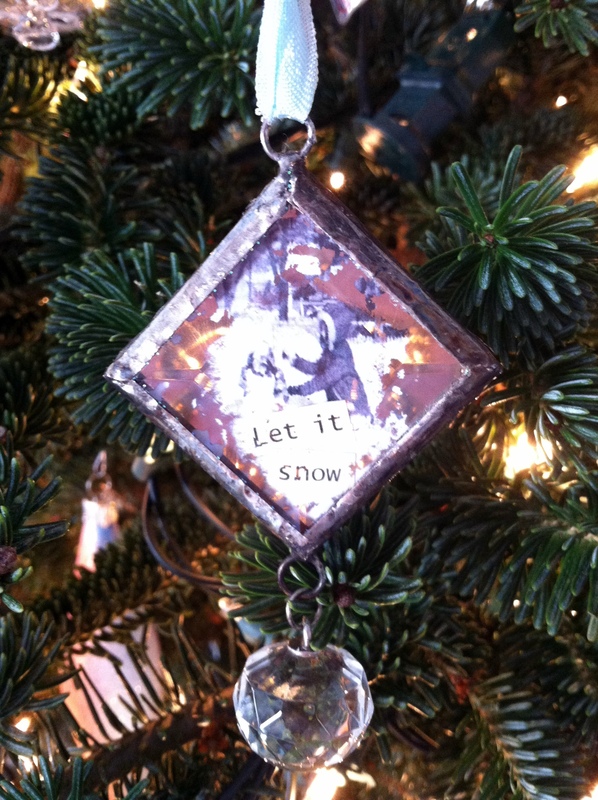 adding a crystal charm and a sentiment on a recycled tag. 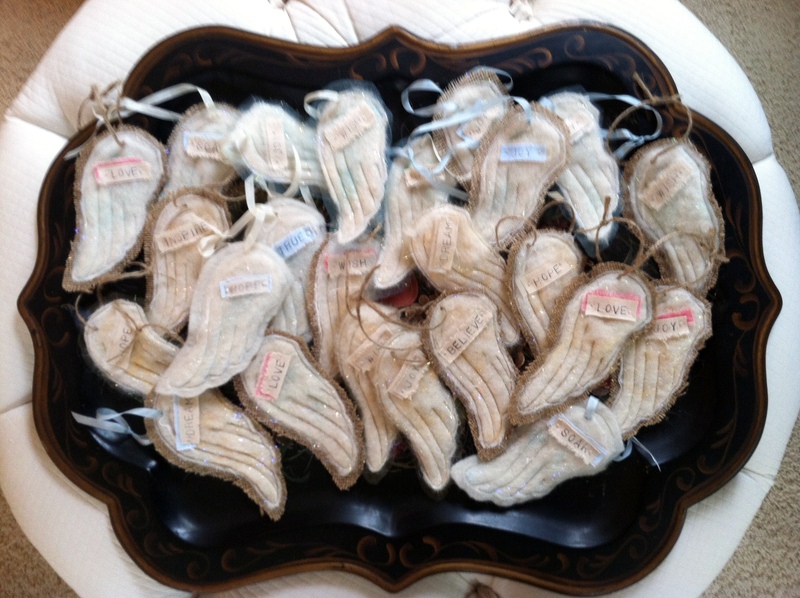 I am on my way to the post office to mail a package of angel wings to Hip Chick Designs in Benicia, CA. This is the first time I am attempting to sell my art. Will they sell? I don’t know but what’s the worse that can happen? 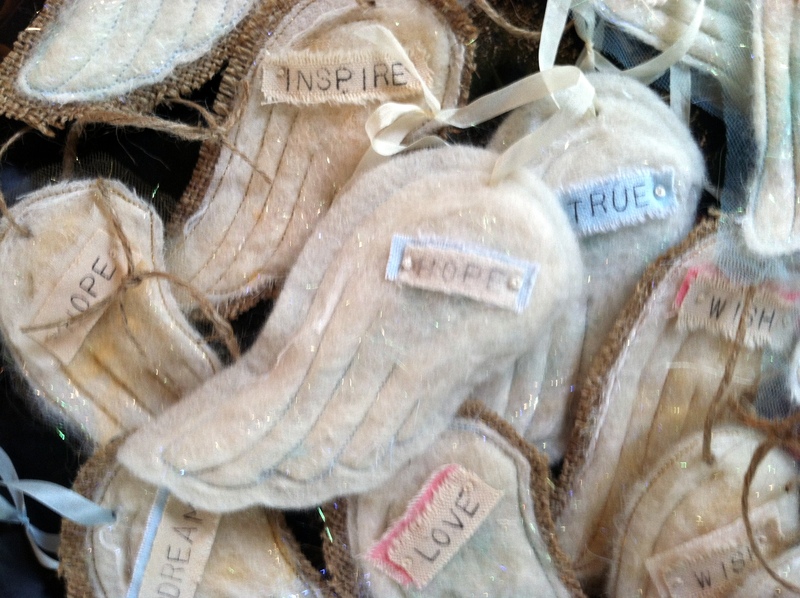 I will have lots of wings for ornaments, inspiration and gift tags next year? Another first!